Following prime minister Theresa May’s announcement that a draft Brexit deal had been signed off by her cabinet, a string of resignations have caused a surge in market volatility as everything still hangs in the balance. Dominic Raab, the Brexit Secretary, has resigned saying he cannot support the EU withdrawal agreement approved by the cabinet on Wednesday. “I cannot in good conscience support the terms proposed for our deal with the EU,” Raab said in a letter to Prime Minister Theresa May. Northern Ireland minister Shailesh Vara resigned from his post, saying he cannot support May’s government as the deal “leaves the UK in a halfway house with no time limit on when we will finally be a sovereign nation”. Esther McVey, Secretary of State for Work & Pensions, resigned from her post in the third resignation this morning. McVey took over the role in January 2018 and in a resignation letter, said the draft deal “did not honour the result of the referendum”. Sterling plunged 1.3% to trade at $1.2807, entirely wiping out the rebound made over the last two turbulent sessions. Chancellor Philip Hammond and business secretary Greg Clark have urged business leaders to support it. According to Sky News, in a conference call on Wednesday evening, Hammond and Clark told business leaders, which included representatives from Aviva, Airbus, Barclays and Standard Life Aberdeen, that the ‘compromise deal’ was essential to avoid chaos. For the financial services industry, the proposals include an end to easy access for British firms to EU financial markets. Instead the relationship will be based on equivalency, which is already provided for a number of countries. Jon Greer, head of retirement policy at Quilter, said: “Brexit’s knock on impact to the rest of sensible policymaking unrelated to the departure from the EU continues as ministers line up for the door, leaving a political vacuum. “Esther McVey’s departure after just 10 months in her position is unsettling, particular since she evidences the lack of faith in Theresa May’s leadership. Who will replace her and how long they will last is anyone’s guess, particularly given the growing risk of a no-confidence vote. “Leadership at the DWP has been about as stable as a mobile home in a hurricane as a parade of ministers have picked up the baton only to fling it away. Setting retirement policy and ensuring we have a well-functioning state pension system is a long-term project which is put at risk if the minister responsible for the DWP changes from one year to the next. For Epworth Investment Management chief investment officer Stephen Beer, markets are not good with uncertainty. “What we are seeing in markets is a reaction to the turmoil in politics. Markets like certainty and stability. Undermine those and asset prices can move in opposite directions. 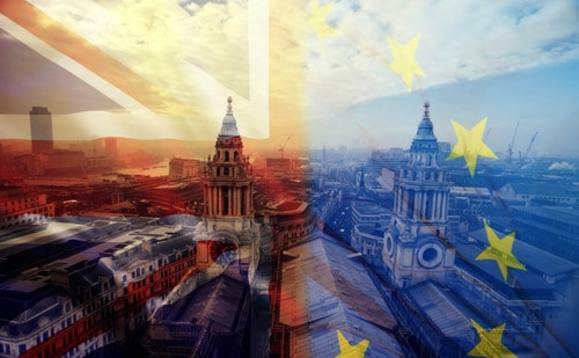 From the look of the fall in sterling, rise in gilt prices, and some selling of domestically focused shares, investors are anxious about a no deal scenario, a leaderless government, or both. “The truth is no one can accurately predict how this will play over the next few days and weeks. However, in some important respects, nothing has changed since the referendum. It remains the case that Brexit is likely to be economically worse for the UK than remaining in the European Union. What we have now is more people realising that,” he added. “It looks like much of the nitty-gritty on trade in services, financial services regulation and fishing will be worked out during the transition period. This fits into our idea that we will have a Brexit deal de minimis in March, with most of the details still to be worked out – a “never-ending story”. “So even if it passes the Commons, that will likely mean another two years of stagnating business investment. It’s still all to play for: Mr Rees-Mogg and co are saying they will vote the thing down. But given that it looks like much of the detail will be worked out at a later stage, could some of them be persuaded to vote for it? Especially if the alternative is a second referendum or a general election and the possibility of no Brexit at all?” Rathbones’ Smith said, in a first reaction to the Brexit announcement. Under the terms of the deal, UK asset managers and other financial services firms could face more restricted access to EU markets under the bloc’s equivalence regime. EU membership allows for unrestricted access for financial services but the system of equivalence, which the EU extends to a number of countries it deems to have comparable regulatory regimes, only covers a limited range of market participation. Speaking in the House of Commons this morning, Theresa May has said she is not making any plans for a no-deal Brexit. The leader of the influential European Research Group, the main body of eurosceptic MPs in the Tory party, accused the prime minister of not meeting her promises by pushing through an agreement that does not take the UK out of the single market, customs union and the jurisdiction of the European Court of Justice. Jacob Rees-Mogg raised the prospect of no confidence vote in the prime minister. Nigel Farage took to Twitter to describe this as “the worst deal in history” while Johnson has warned the UK will end up as a “vassal state” to the European Union. Shadow Brexit Secretary Keir Starmer has said Labour will vote against the draft Brexit agreement and has called the deal a “miserable failure of negotiation”. The 583-page draft treaty still needs to be approved by the House of Commons, at an EU Summit and by the European Parliament.